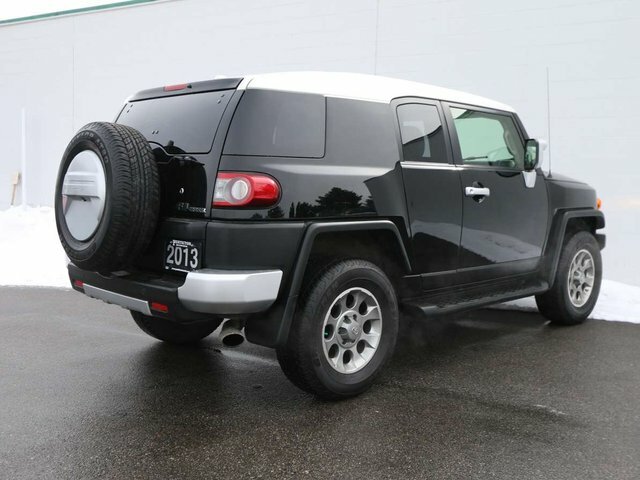 Rated as one of the most versatile 4WD SUV's in the market today, this 2013 Toyota FJ Cruiser is in great condition. The Black exterior is paired with a spacious, and well-cared for interior. Equipped the water resistant flooring, a dashboard compass and latitude gauge, navigation, a reverse camera and electronic 4WD switch. Powered by a 2.5L V6 engine.Comes with 2 sets of tires, original owner's manual and 2 key fobs. 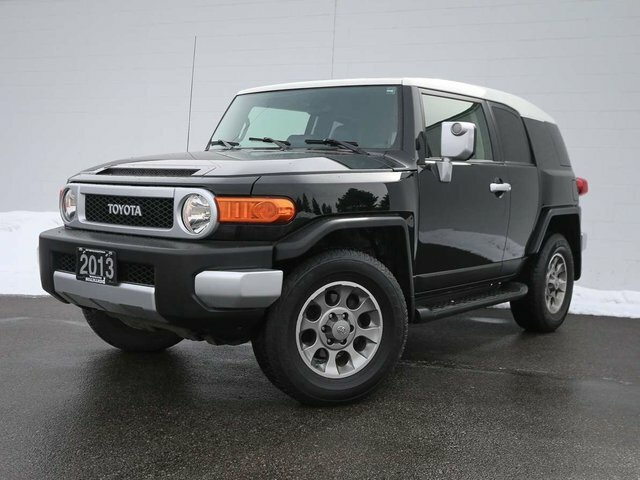 For peace of mind, and to ensure driving quality, we put the FJ Cruiser through a mulit-point, comprehensive used vehicle safety inspection. The oil/filter have been changed, a new battery installed, a new set of wipers installed and the tires filled with nitrogen for longer wear. 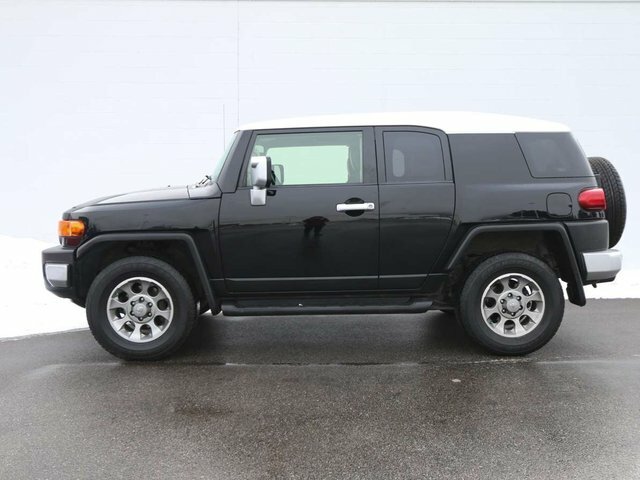 Some of the features in the 2013 C Package model include power windows/locks/mirrors, leather wrapped steering wheel with cruise/audio and Bluetooth mounted controls, navigation, reverse camera, dashboard compass and latitude gauge, traction control, rear diff lock, A-Trac, parking sensors, a water resistant vinyl floor, an AM/FM/CD JBL audio system, running boards and more!